Have you been looking for an original gift for your husband or a friend for some time? You've already been to the clothing stores and you can't find anything he really likes? Let yourself be tempted by one of the man necklaces from the art'emi jewelry store, an original gift that he will never forget. To begin with, art'emi has been working for years with precious stones and silver. As a result, we have acquired considerable experience in the manufacture of various types of jewelry. 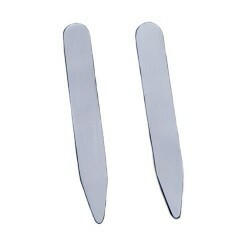 We specialize mainly in jewelry made of solid silver. For example necklaces, bracelets and rings. The work of art'emi jewelry differs from other jewelers because we have a personalization service for most of the products we sell. 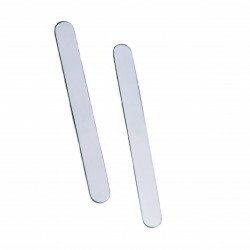 In addition, we can engrave anything you want on your jewelry. Completely free engravings as well as deliveries. So don't hesitate any longer, if you want to give a gift to your darling. Call on art'emi to provide you with men's necklaces of exceptional quality and unrivaled elegance. 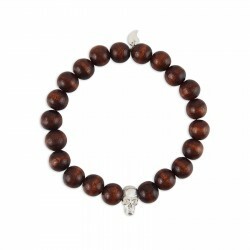 The art'emi online jewelry store offers an impressive choice of necklaces for men. Quality jewelry at affordable prices. 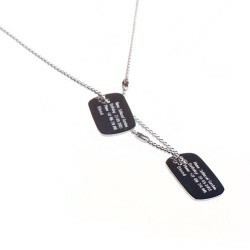 Most of our necklaces are customizable. An original gift for Valentine's Day, a birthday or Christmas and the engravings, let's remember, is totally free. In addition, we can engrave on either side of the jewel. 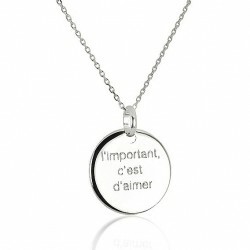 So, with art'emi men's necklaces, give an elegant gift and leave an indelible memory to your half or a dear friend. Finally, we would like to point out that we are listening to your recommendations and advice regarding the personalization of your jewelry. And if you would like to understand how we work or have any further questions, we would be happy to welcome you to our workshop. 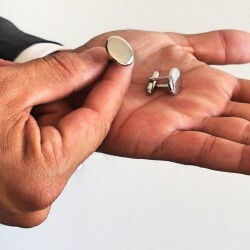 Would you like to buy a customizable piece of jewelry or accessory for men? 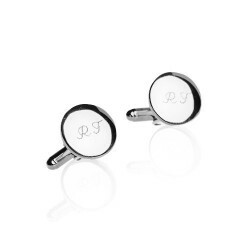 The art'emi jewelry store offers you men's engravings in order to obtain a piece of jewelry that suits you totally. 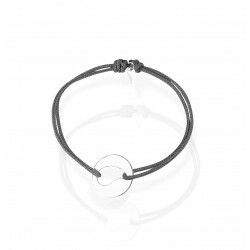 Discover our jewelry creations for men online on our e-shop. 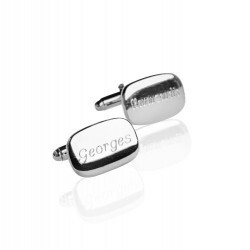 In addition, these different models of engraved jewelry for men are available in 925 solid silver. If you wish to have your jewelry engraved, there are two possibilities. 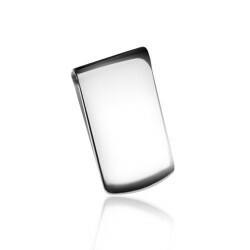 First, you can place your order online by indicating the desired engraving. 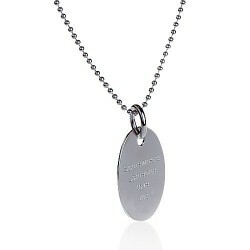 Some of our jewelry can be engraved on both sides, such as the military necklace. 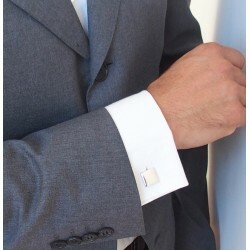 Other products, such as cufflinks, can only be customized on the top side. You can choose between two typographies to define the writing style. Secondly, you can also meet us directly to create your jewelry, by visiting our workshop located in Brussels. When you purchase one of our jewelry, we provide you with a one-year warranty certificate. If you have any questions regarding the purchase or creation of a piece of jewelry, do not hesitate to contact us by phone or e-mail. Finally, you can, of course, visit our workshop and we will see together what we can offer you. Are you looking for the perfect gift for a man? 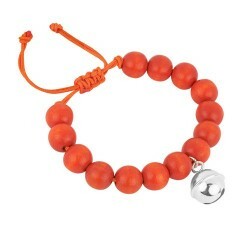 Are you even looking for a bracelet made for you? 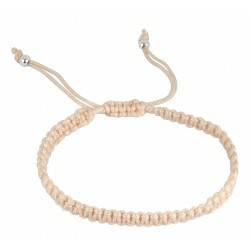 Then consult the men's bracelets at the art'emi jewelry store: there is something for everyone. Above all, the materials used to make our jewelry are at the heart of our concerns. We want art'emi creations to be a guarantee of longevity. That's why we choose the best materials to make our creations. Whether you are looking for gold, silver or cord bracelet, you will find something to satisfy your quality requirements with our jewelry. 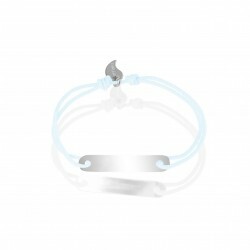 The plurality of our designs is also one of the great strengths of our online jewelry store. Men's bracelet plaques can be oval, round or rectangular. For young dads, we also offer customizable girl character bracelets and boy character bracelets. The plate is then in the shape of a girl or boy and it is quite possible to have it engraved with a date or a first name. Feel free to consult these surprising designs. We particularly appreciate working with noble and robust materials, which do not tarnish with time. Thus, art'emi jewelry forever retains the brilliance of its first day. 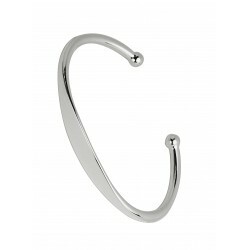 Our silver creations all bear the 925 hallmarks and we require all our jewelry to be of the same quality. You want to offer a man a unique and personalized gift? Check out our entire men's section. 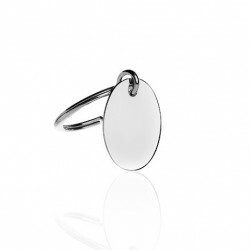 From cufflinks to necklaces, key rings and rings, you will find something to charm him. Finally, most of our jewelry can be engraved, you can customize them to make them 100% unique. Are you looking for the ideal jewel for a man? Quality and originality are essential criteria for you? 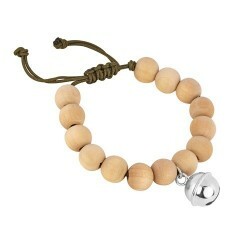 Then the art'emi men's jewelry collection is for you. 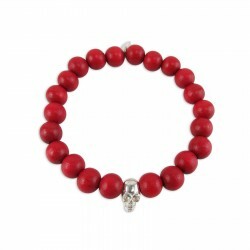 Our materials are all of the highest quality and all our jewelry is unique. Quality is for us an essential element in jewelry. 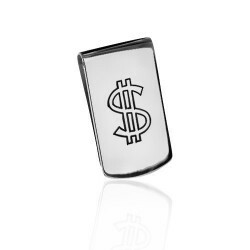 All our silver jewelry is stamped with the 925 stamps. 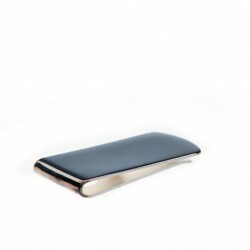 It certifies the purity of the Silver range's packaging. For gold-plated or pearly bracelets, bracelets, bracelets and necklaces, you will notice that their color does not fade with time. This is because we always have a high level of requirements regarding the materials used to make our jewelry and accessories. 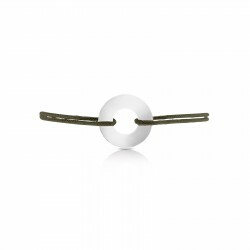 You will be positively surprised by their robustness and their always very bright appearance, but in our jewelry range, also think of the cuff link. 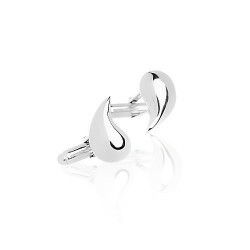 Discreet, distinguished and yet very important in an outfit, it brings a touch of elegance and class to the man who wears it. 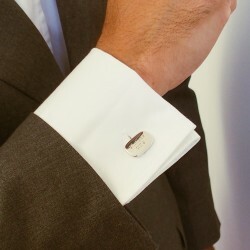 art'emi cufflinks can also be engraved and be 100% unique. 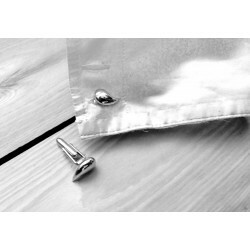 Once again, the materials used to manufacture them will delight you with their exceptional quality. 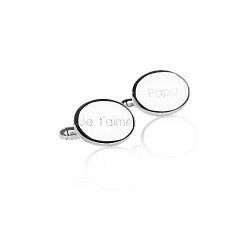 For even more personal cufflinks, bracelets, bracelets, bracelets or necklaces, we have the inscription of your choice engraved on our supports. 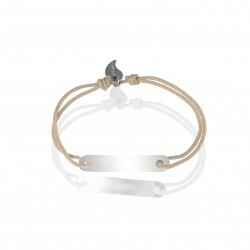 Of course, customizable bracelets are the flagship product of our engraving range. But there are so many engravings man art'emi, your heart will certainly swing between all our creations. 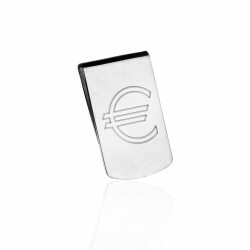 Discover our range of customizable jewelry, including gold or silver jewelry, to be engraved by us. They are also available in the children's category, ideal for celebrating a birth or birthday. 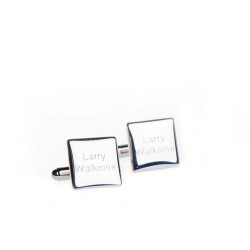 The art'emi men's customizable jewelry represents the perfect opportunity for a unique and original gift.